Succulents were the first things I ever managed to grow in my garden without killing. Now they're some of my favorite plants in my garden. I love that they come in so many colors and are so hardy that you can plant them almost anywhere, I even have a few growing in the gravel beside my driveway! 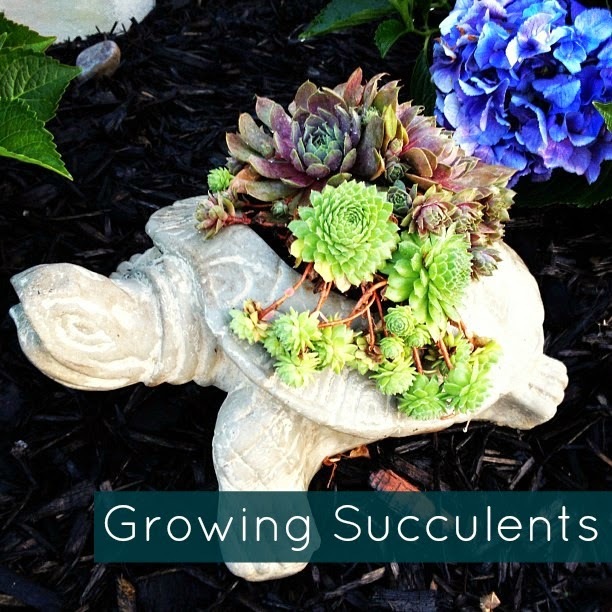 Here are a few tips to keep your succulents looking their best. Pot them. You can plant them in the ground, but if there's a particularly harsh winter, they may not survive. I like growing them in planters that I can bring inside through the winter months. Break them up. The best thing about succulents is how easy they are to reproduce, just snap a small piece off of the main plant, put it in some damp soil, and it will grow into a whole new succulent.